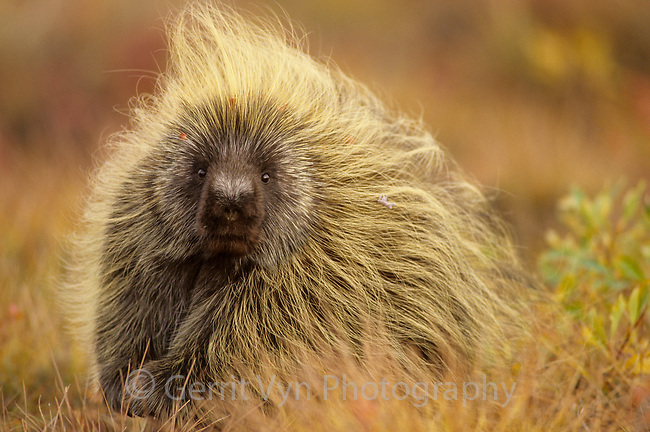 Porcupine (Erethizon dorsatum) on tundra. This individual was atleast 50 miles north of treeline roaming the open tundra. Most liekly it worked its way down a river feeing on young willows and alders in late summer. North Slope, Alaska. September.